Over 40 exhibitors, including many with engineering positions they are looking to fill; internships may be promoted as well. Admission is free. Attendees can have their resumes reviewed by an HR professional as well as get their headshots taken. 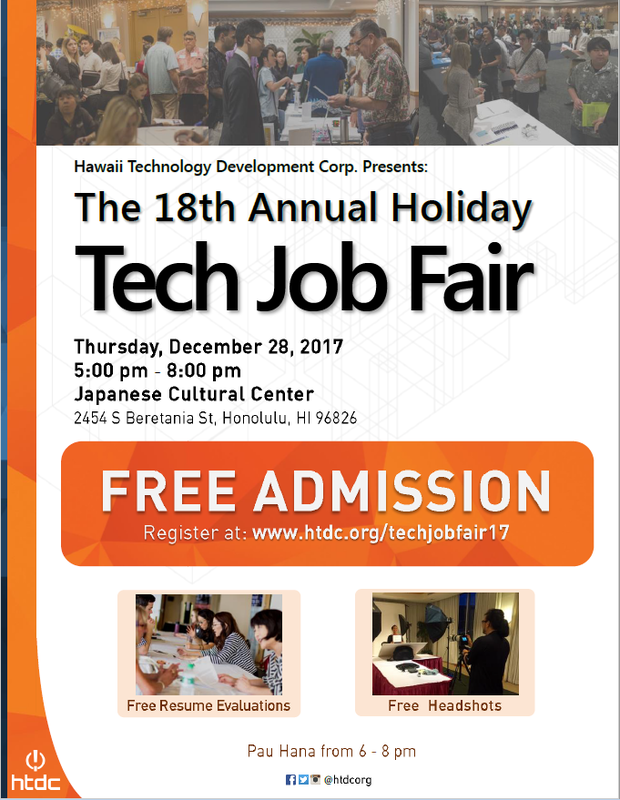 The Pau Hana networking reception starts at 6pm and will be the WetWare "Wednesday" for December (on Thursday)!